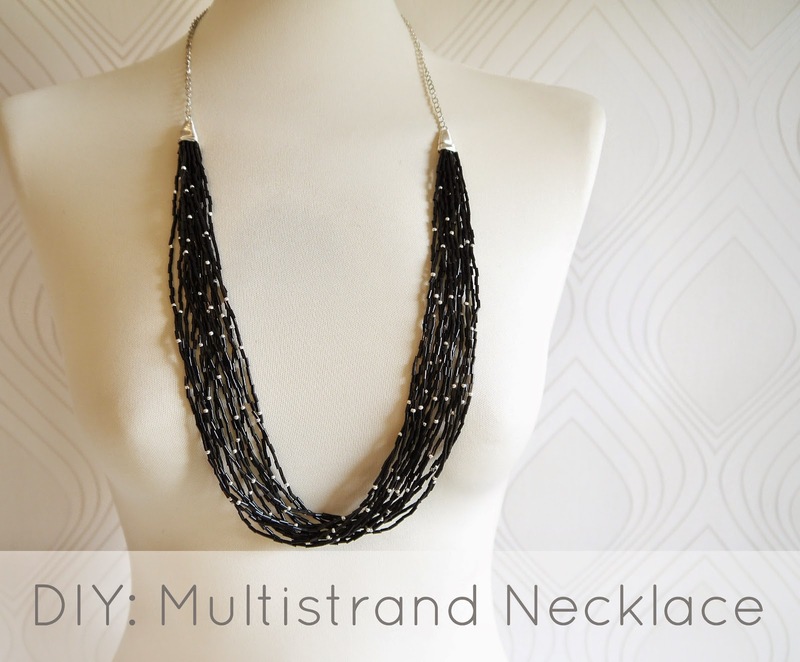 So here is the 2nd of two jewelry pieces I made as part of The Refashioners 2013. (You can see the tute for the first one here) Again, because of the use of black glass bugle beads in this make, it has an overall 1920’s feel. I love how this one turned out, and although threading all those beads was a little time consuming, it really is very straightforward! Gather all your loose ends together and secure to an identical piece of looped wire. So now you have two identical “ends”.You can buy “end cones” like these, but I made my end cones by wrapping wire around my round nosed pliers. Slide them over the looped wire ends so they are snug; and finish the ends with a loop to hold in place. Then add your chain! very cool! before my sewing days i did a lot of jewelry making. love how you made the end cones, super smart! I wouldn’t have noticed unless you called it out but the necklace is very 1920s. Great Gatsby-esque. Awesome tutorial. Thanks! Your end cones are better than the ones you can buy! Love this! I’ve been feeling the itch to start making jewelry. Too many things to make!